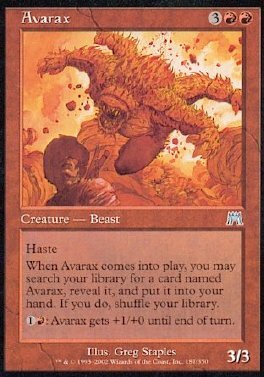 Haste When Avarax comes into play, you may search your library for a card named Avarax, reveal it, and put it into your hand. If you do, shuffle your library. 1R: Avarax gets +1/+0 until end of turn.